Add a touch of style with a contemporary swivel recliner chair in luxurious plush leather. The Positano is a swivel recliner chair designed to compliment the modern home. 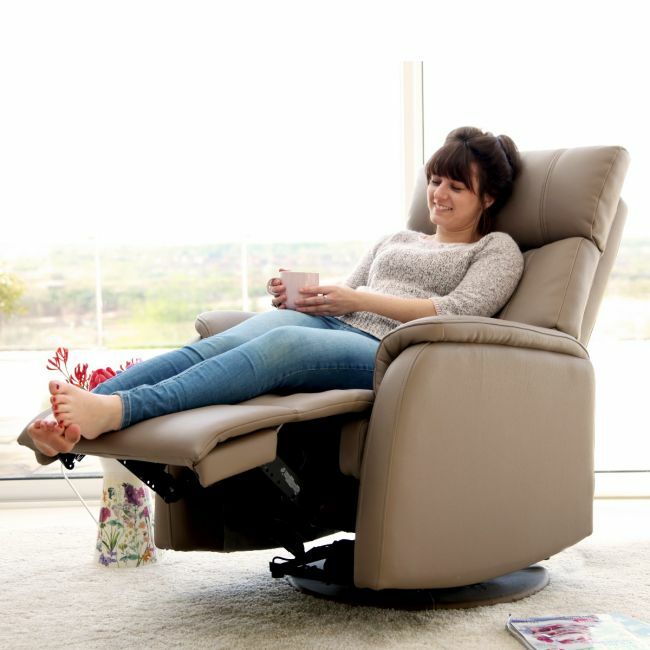 The electric reclining action is the ideal aid to help those with limited mobility find their ideal seating position. Upholstered in luxurious, bone, earth, or charcoal plush leather.